On the first day of March, I traveled down to Dallas, Texas for some work meetings. The trip marked the beginning of a new role for me working with our Spanish ministry; one I really admire, but due to distance and language, know very little about. This year will be our first year inviting donors to be a part of the amazing ministry we’re doing at e625 and my role will be to create those opportunities (through events) and strengthen those relationships through communications. The Church is losing the next generation at an alarming rate (and not adding to our family much either) and one of the big reasons is our Hispanic youth leaders don’t know how to reach teens and aren’t given the resources or support to do it well. The Church is becoming irrelevant in our changing world, and instead of focusing on the future of the Church (our youth) we’re allocating our time and resources to our adult members. Teens are the creators of culture in our society and we’re missing the boat by not knowing their world and how to reach them. e625 exists to equip and encourage the Church and families by providing training (events and formal education), resources (digital and print) and networking to help them help the next generation (6-25-year-olds) become mature Christians who will lead the Church today and in the future. Pretty awesome stuff, right? I walked away from our meetings so inspired. I was inspired by the mission of the e625, but perhaps equally, I was inspired by the vision and passion of Lucas’ team. They know what they’re doing and why and that drives them to work hard when the going gets tough and gives the little moments meaning and a bigger purpose. And because of that, they really, really care. Passion drips off of them and passion is infectious. I definitely caught it. For e625, but also for my own life. On the plane ride home I asked myself this question, “Do I have that same vision and passion for other areas of my life?” Is there a purpose behind how I spend my time and does that create a contagious, joy-filled passion in all I do? That vision doesn’t have to be this big, holy thing like e625. I loved reading “The Magnolia Story” (also on that same plane ride home) and hearing Joanna Gaines express that it’s her mission/calling to create spaces that are practical for the people living in them and to let go of perfection to better love and serve her family in her home. Although I think calling and vision is sometimes something God calls you to over time, and you might not see the whole thing all at once, you can pick up themes through your skills and personality, what brings you joy and what sets your heart ablaze (the things you can’t just let be or walk away from). Themes I’m seeing in my life are the Church, relationships, experiences, and creating. Seek vision and passion, friends. And if you’re interested in learning more about e625 and the amazing ministry they are doing for the next generation of Hispanic Christians, give me a shout. 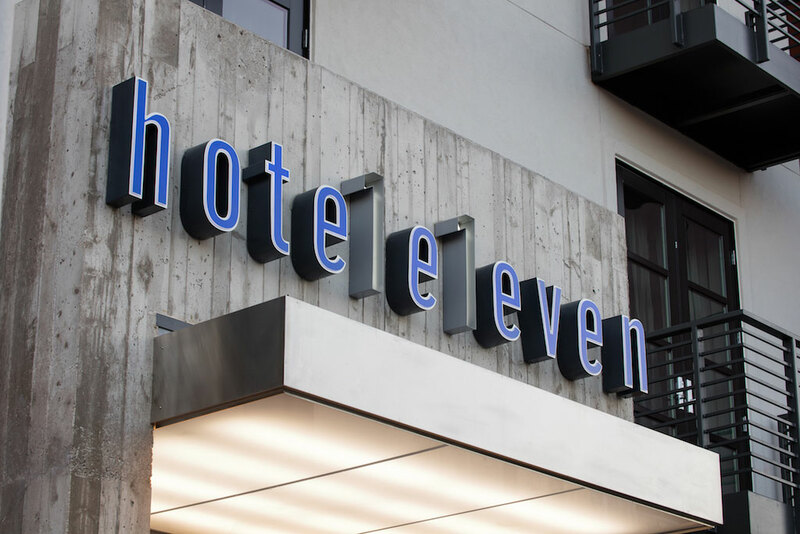 Arrive in the evening and check into boutique East Austin Hotel Eleven. On my first day in a city, I like to get a guided tour in the morning to get my bearings, then just spend some time exploring the area on foot. Be sure to talk to the locals to get recommendations! Get your bearings with a Downtown Walking Tour. Be sure to grab a cup of coffee for the walk from Cuvee Coffee. Explore the downtown area and grab tacos from the Veracruz al Natural food trailer. Otherwise, you can find a different food trailer that strikes your fancy here. Play life-size chess (Harry Potter, anyone?) at Wooldridge Square. Grab dinner at Elizabeth Street Cafe. 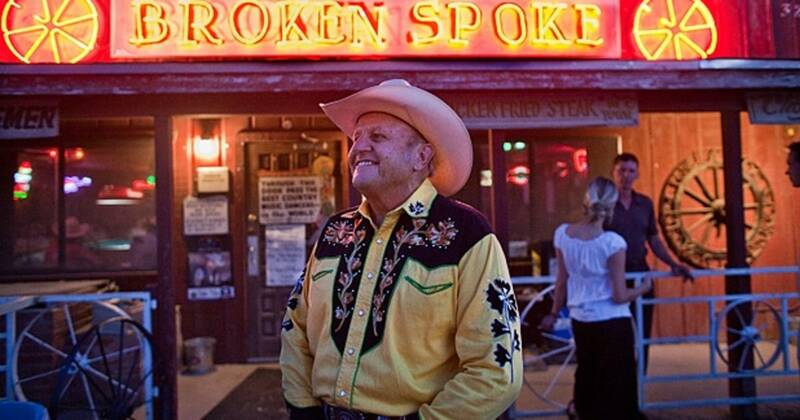 Head to Broken Spoke for some two steppin’ lessons! Get outside and enjoy the beautiful Southern weather! 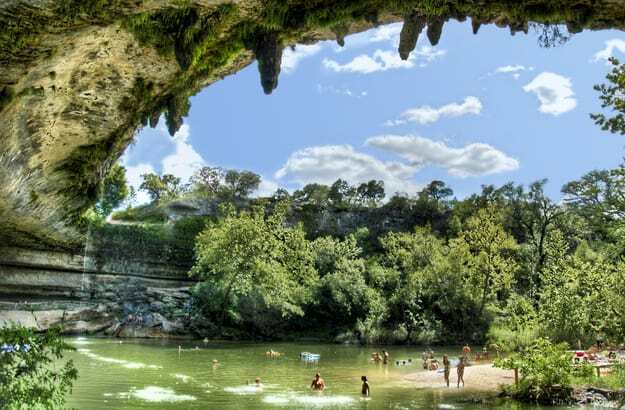 Take a dip and pack a picnic at Grotto Hamilton Pool or Barton Springs Pool. Paddleboard or kayak at Lady Bird Lake. Tube down San Marcos River. 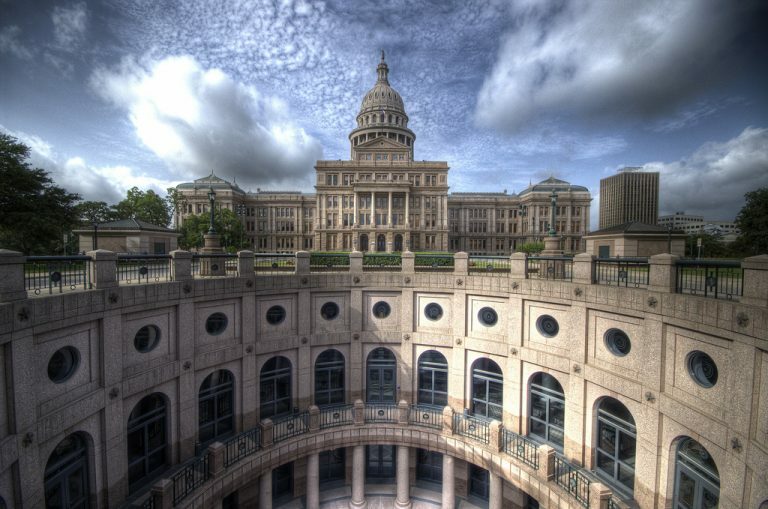 Visit one of Austin’s many museums! Grab dinner at Second Bar + Kitchen. 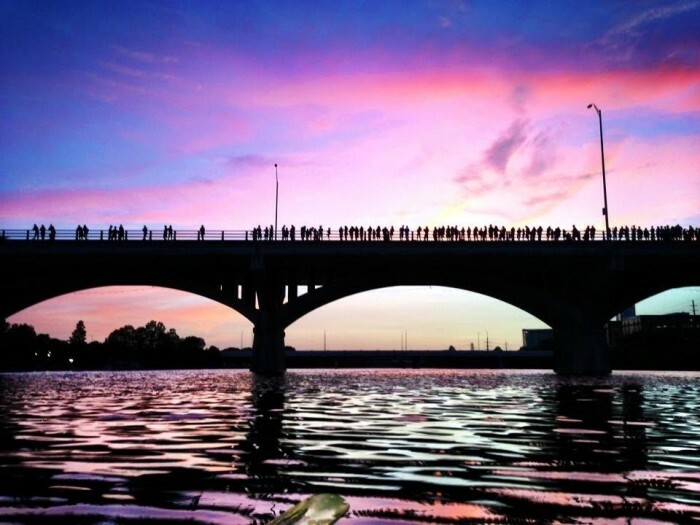 At dusk, head to Congress Bridge to watch the bats take flight for the night. And since it’s Friday night, hit up the music and bars on Sixth Street! Austin is the live music capital of the world, so you can’t miss it. Try out Emo’s, Stubb’s or The Mohawk. Grab breakfast at Snooze an A.M. Eatery. 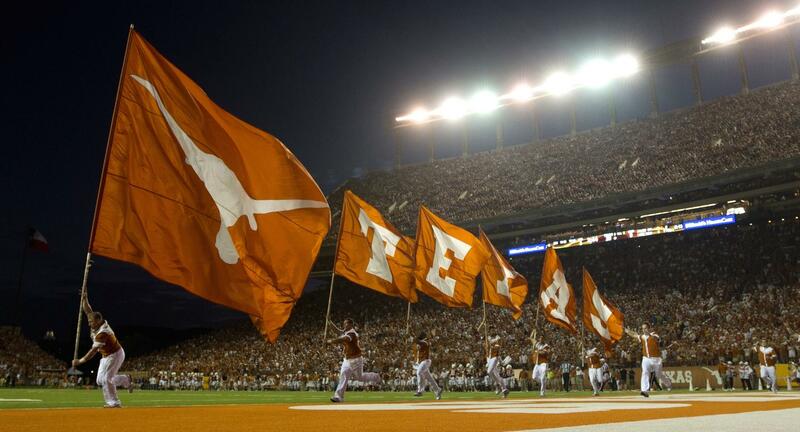 Take in a game at the University of Texas. After the game, explore the campus. Do the Hill County Libations Tour or a Brewery Tour. Attend a Happy Hour with Jamie Ivey Live event. Watch the sunset with your friends in low places at The Oasis. Catch a show at The Continental Club or Paramount Theatre. OR Score tickets to an Austin City Limits taping or Live event. Grab breakfast at one of Austin’s many farmer’s markets. Go to Jen Hatmaker’s church‘s morning service. Because I think she’s great and I love what she wrote about her church in her book Interrupted. 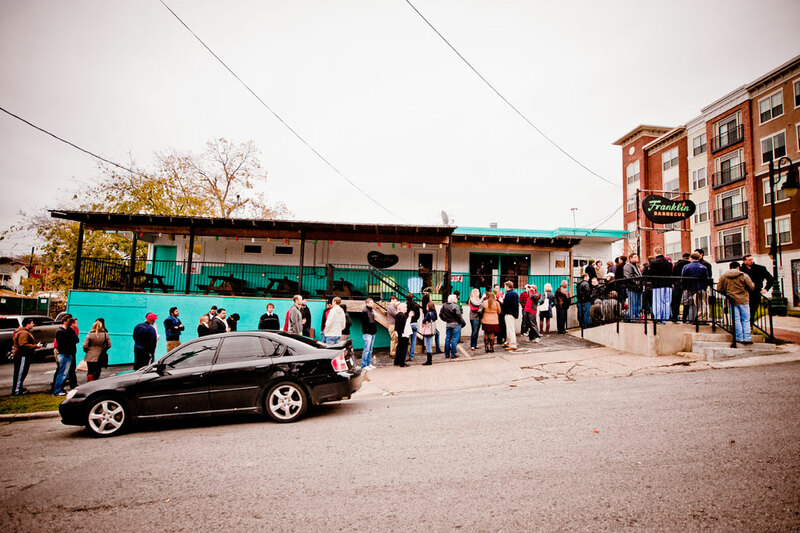 Head to Franklin’s Barbecue, but go early because there’s sure to be a line! Take in a movie and grab a drink at the Alamo Drafthouse. 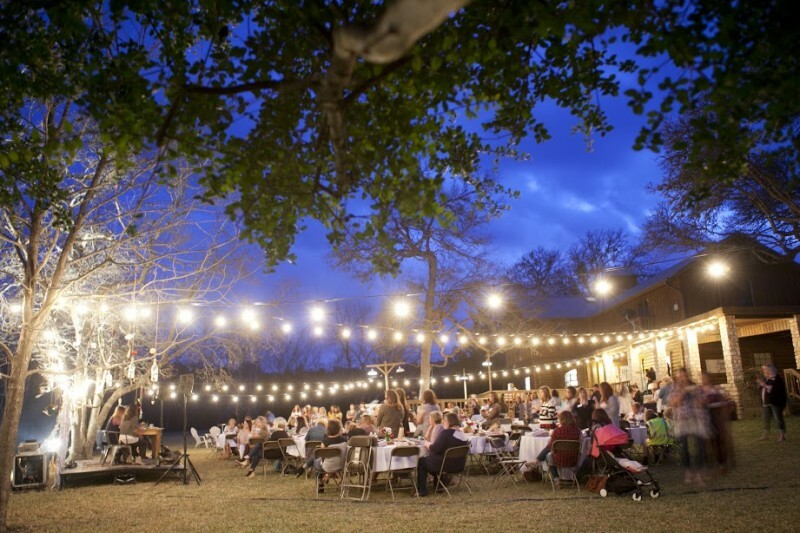 Take the 1 1/2 drive to Waco to visit the Gaines at Magnolia Silos! Be sure to buy a #shiplap t-shirt, #demo day shirt, or a Texas Forever t-shirt. Here are a few tips for visiting the Silos. Spend the afternoon visiting one of Waco’s many sites. 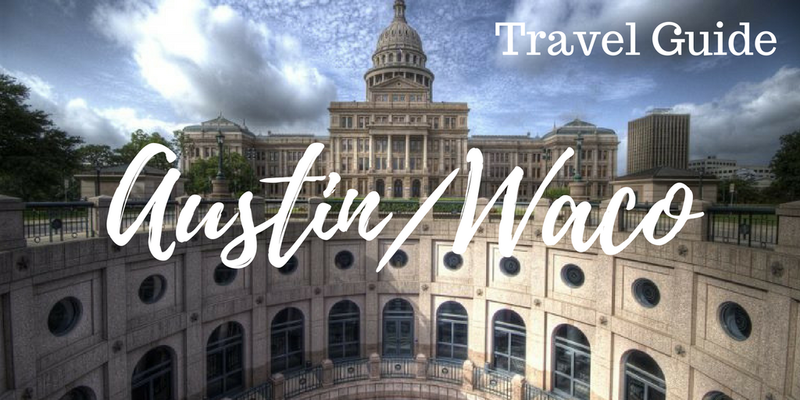 Bid Texas farewell and promise to return to see and do some of the further ideas listed below. Fireworks on Lake Austin or Lady Bird Lake (New Year’s & 4th of July). Visit the Peacocks in Mayfield Park. Visit the Cathedral of Junk. Check out the Women’s Bathroom at Donn’s Depot. Golf a round Peter Pan Mini Golf (they’ll put your name on the marquee if you tell them you’re coming). I’m so jealous that you were able to attend The Happy Hour Live! I love Jamie Ivey and her podcast. I haven’t actually made it to the event yet, but it’s on my dream itinerary for visiting Texas. Isn’t Jamie great? Loved your pics from Magnolia Silos! Hope you get to come to an event! Thanks for linking to my article! Glad it was helpful to you… I grew up in that area and still love exploring San Antonio to Dallas.